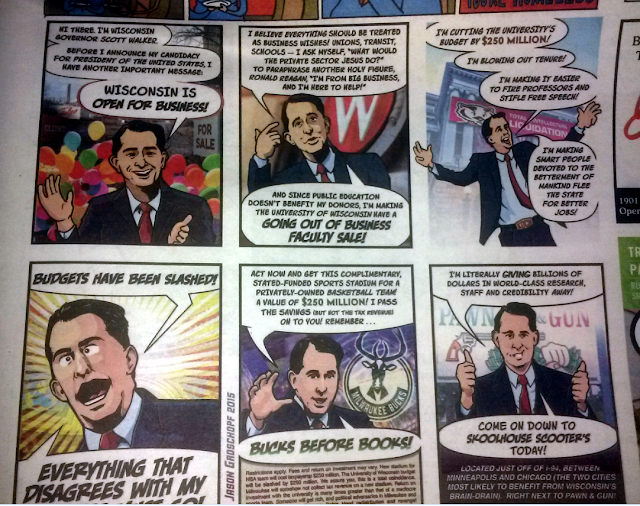 DemoCurmudgeon: Scott Walker's Paul Soglin Panic Attack!!! 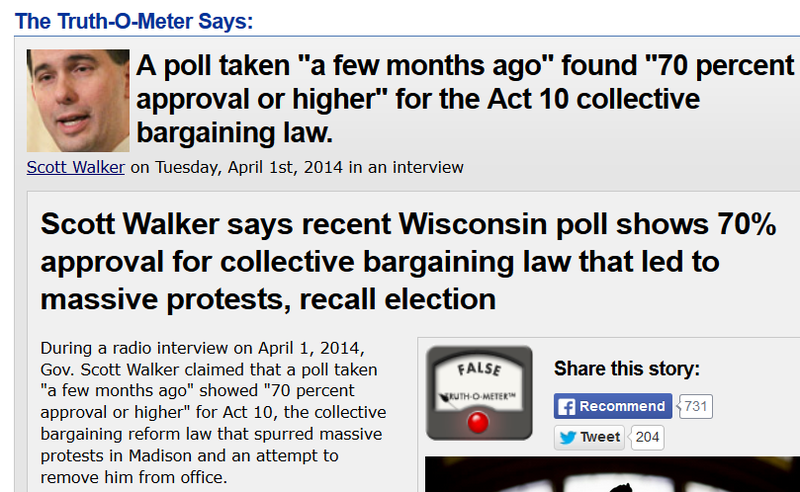 Scott Walker's lack of ammunition against his Democratic opponents for governor is the real shocker. 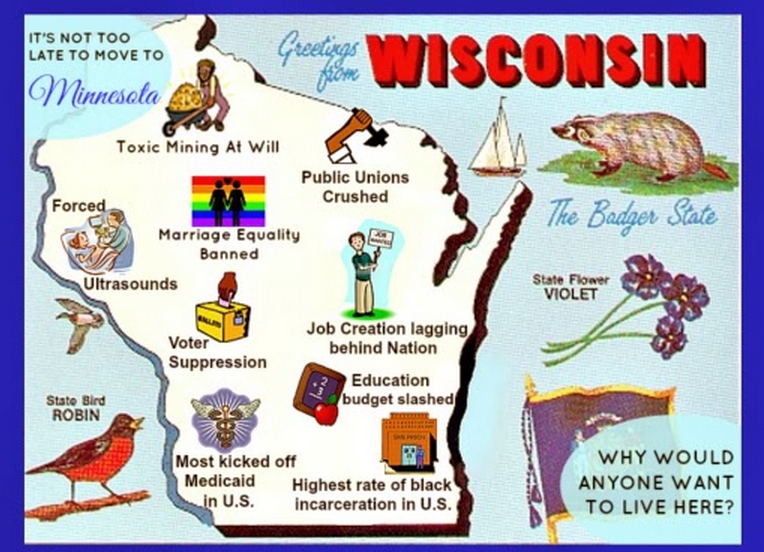 Walker: (On doing away with more state jobs) "Yes...we're going to have to look at shrinking the size of government, we're going to have to look at shrinking more importantly, the size of wages and benefits..."
Mike Gousha: "There are going to be people who say look, Milwaukee county has the highest poverty rate in the state, we're losing jobs in the city of Milwaukee, your largest municipality at a rate almost unmatched by any other big city. Do you share any responsibility for that?" Walker: "Everybody does, but the state of Wisconsin has done specific things, policy wise, that have effected jobs here...if you look at the tax increases of $1.2 billion of new taxes..."
Mike Gousha: "Do you think you bare any of the responsibility for the numbers I just mentioned for the poverty rate, for the lack of employment right now in this community?" 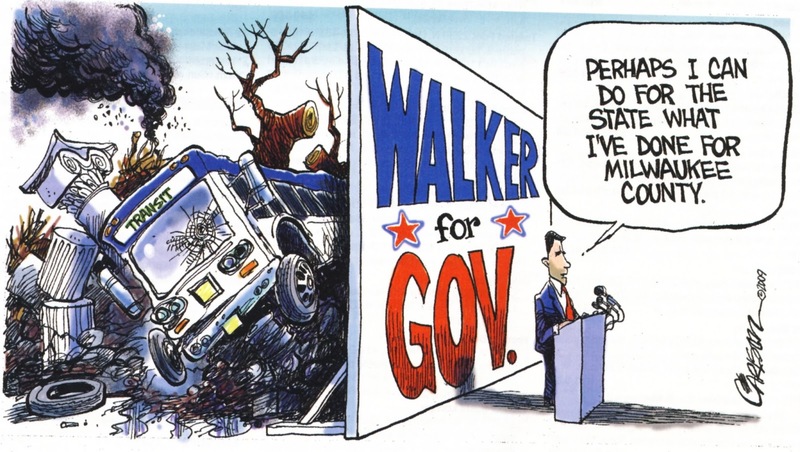 Walker: "No, for us that's been an issue for years...politicians don't create jobs or eliminate jobs...!" jsonline: Milwaukee County government is in such dire financial shape that state lawmakers should push through legislation that would allow it and other local governments to file for bankruptcy … the powerful Greater Milwaukee Committee is looking to recommend doing away with the elected county executive's post, slicing county worker benefits and spinning off the zoo, the bus system, the parks and much else under separate commissions. (The Greater Milwaukee Committee tried to hide their report, saying) "We don't want this to become some sort of political football during the fall election campaigns ... If these dramatic steps - or something like them - aren't taken county government will collapse," the draft report suggests. The report also puts it this way: "If we don't make changes today … Parks will close, bus routes will end and families in distress will not get the help they need. Our Milwaukee will grow smaller and smaller as people and companies leave." Walker earlier said we shouldn't turn Wisconsin into another Milwaukee. 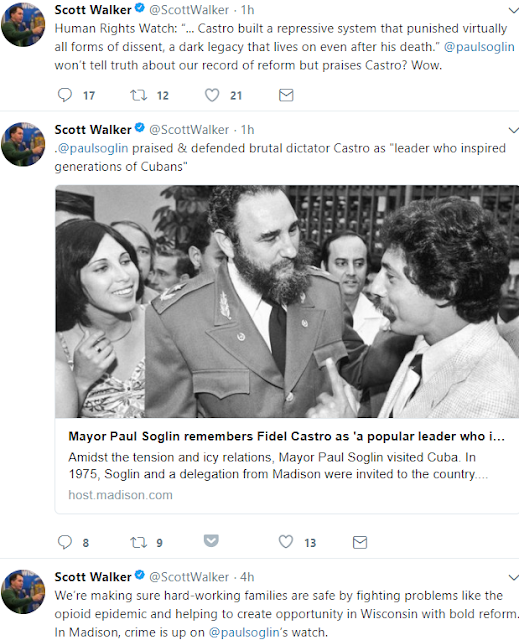 Now he attacks Madison, which has a good job-producing record. Walker freaking out about Soglin is understanable, as Soglin would be an icon for everything Walker, the Bradley Foundation and the Kochs stood for. 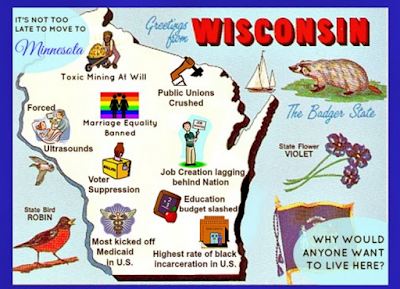 Maybe Wisconsin would be best served by challenging Walker et al straight on and directly. 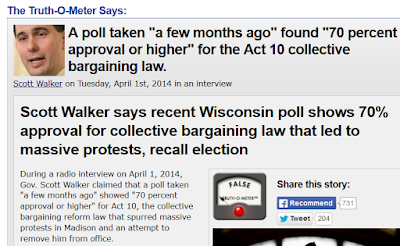 As Walker is so polarizing, Soglin would likely get a lot of votes.